The Agenda discusses the results of research conducted on behalf of the Mowat Centre by Mission Research that studied whether urban and rural Ontarians view their lives differently. Toronto is often an outlier in terms of public opinion across the province on various topics, such as immigration and climate change, a survey has found. Research conducted by Mission Research on behalf of the Mowat Centre, a think tank at the University of Toronto’s Munk School of Global Affairs, found that otherwise, there are not many general differences of opinion across the regions. 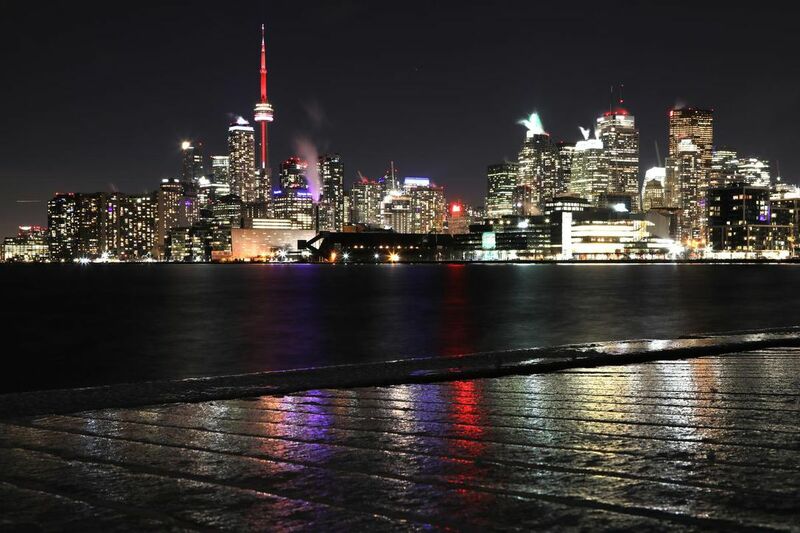 But a main finding of the research is that Toronto seems to be different than other regions. TORONTO, ON – A new Mission Research media analysis project evaluates news media coverage regarding Canada as signatory to the UN Migration Compact. The analysis was conducted on behalf of the True North Centre for Public Policy. It focused on coverage of the relative positions and perspectives of Prime Minister Justin Trudeau and Conservative Leader Andrew Scheer in news coverage that appeared between November 1st and December 14th, 2018. Drawing on a database of more than 150 articles and broadcast items representative of all major national and regional news outlets, Mission Research used a proprietary methodology, its Media Impact Analyzer (MIA), to analyze several key factors that drive the impact of media coverage including tone of reporting, article placement, and publication-tier. Mentions of Prime Minister Justin Trudeau in coverage of the Compact were 41% higher than the number of mentions received by Conservative Leader Andrew Scheer. Trudeau’s overall media impact score was -1.7; this means that Trudeau’s “pro-Compact” position was evaluated negatively, on average, across the 137 news items in which he was mentioned. By comparison, Scheer’s “anti-Compact” position generated an overall media impact score of -0.8, considered a neutral impact, across 97 articles of coverage. Despite Trudeau receiving mostly negative coverage during the 44-day observation period (impact of -2.0), coverage of the PM was significantly higher on the day the Compact was signed (impact of +1.3) suggesting that mainstream media outlets may have been concerned with the ceremonial value of Canada becoming a signatory to the Compact rather than the substance of the agreement. Though coverage of Prime Minister Justin Trudeau remained steady throughout the coverage period, Andrew Scheer was not mentioned in media reporting until December 4, about a week before the Compact was signed. By that date, a total of 29 mostly anti-Liberal news stories had appeared that mentioned Trudeau. Notably, the highest number of negative bylines regarding Trudeau’s position on the Compact were penned by Sun Media columnist and Founder of the True North Centre for Public Policy, Candice Malcolm. In the absence of Malcolm’s bylines, Trudeau’s media impact improves by 55%, from a score of -1.7 to a slightly less negative -1.1. In addition, without Malcolm’s coverage of the UN Migration Compact, CPC Leader Andrew Scheer’s media impact would have deteriorated almost two-fold, from -0.8 to -1.5. Overall, findings from the Media Impact Analyzer show that both Trudeau and Scheer made critical errors in their media strategies with respect to the UN Migration Compact. In particular, Scheer would have benefited from taking a more direct and systematic approach to shaping the narrative at an earlier stage in coverage. Meanwhile, Trudeau should have taken a more proactive approach to his role as key spokesperson on this issue, taking ownership of the dissemination of pro-Compact messaging amidst anti-Compact reporting instead of leaving that responsibility to others. Mission Research is a national public opinion and media research firm headquartered in Toronto, ON. Founded in 2000 by company president, Dr. Heather Scott-Marshall, Mission Research’s clients span a diverse range of public, private and not-for-profit sectors. To learn more, visit missionresearch.ca. With free trade in North America dominating headlines and ongoing concern over the rise of populism across Western democracies, it’s more important than ever for policy-makers to fully understand what Canadians think about free trade and globalization. Pitel said the UWOFA’s push for more job security is backed up by a new poll commissioned by the Ontario Council of University Faculty Associations. The online poll of Southwestern Ontario residents conducted by Mission Research showed strong support for more full-time faculty jobs to ensure the quality of education. The vast majority of people questioned about working conditions at Ontario universities support greater fairness for contract faculty, according to a poll done by Mission Research and the Ontario Confederation of University Faculty Associations (OCUFA). Most students heading to university in the region are worried about finding a job after graduating, according to a new poll done by Mission Research for the Ontario Confederation of University Faculty Associations (OCUFA). The poll found that 60 per cent of university-bound students aged 15 to 17 are concerned they won’t find a well-paid, full-time job after university. The Ontario Confederation of University Faculty Associations (OCUFA) has released the results of their 2018 poll, which aimed to gauge Ontarians’ perspectives on the current state of precarious employment faced by many university professors in the province. A new survey by the University of Toronto found that 81% of Ontarians favour new trade deals, including a revised North American Free Trade Agreement (NAFTA).